The perfect BOHO Chic! 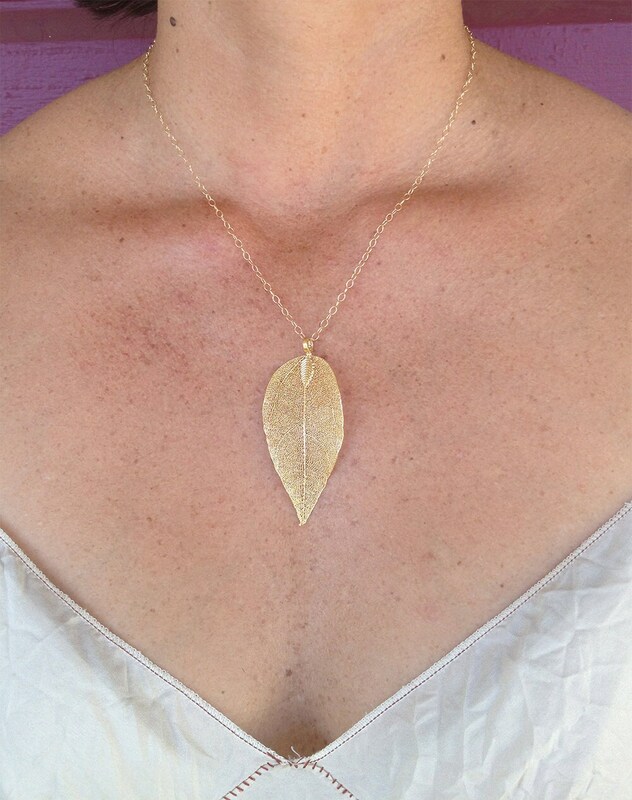 This natural leaf pendant has been dipped in gold and hangs beautifully from a 14K gold fill chain with gold plated spring clasp. The pendant measures approximately 30x60mm and is a perfect layering piece. Shown here in 18". 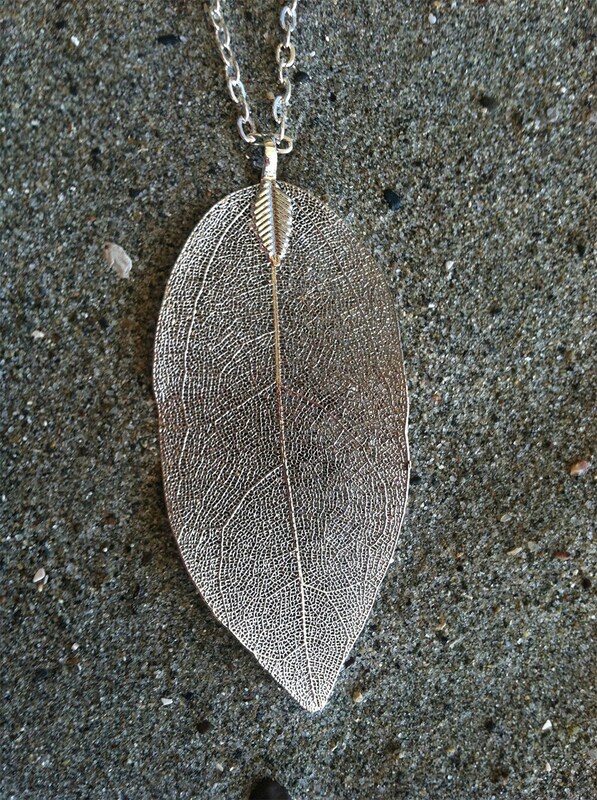 Also available in Silver, please see last photo for example of silver leaf. 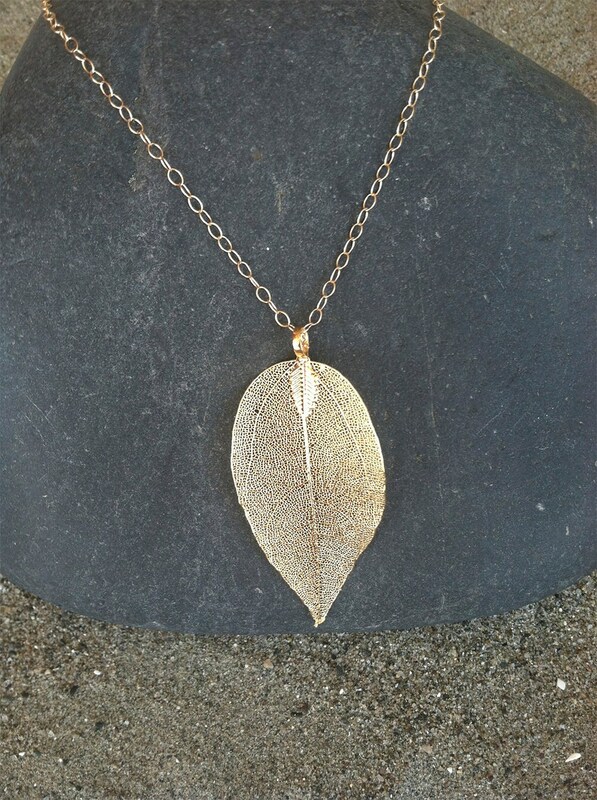 Each pendant is a one of a kind and shows the distinct lines and markings of each unique leaf. Please allow for slight variations, although the size and shape will be very close to what is shown in the photo above. All items are handmade and I guarantee the workmanship and quality of all my products. I use high quality stones and sterling silver or gold filled wire and chain. I guarantee against any tarnishing or breakage. However, if you should encounter such problems, I will gladly replace or repair your item free of charge. Please see my terms and conditions for information on how to request a replacement or repair. Bought this for my mom as a Christmas present. The necklace is so beautiful and intricate. She loved it! Thank you so much! 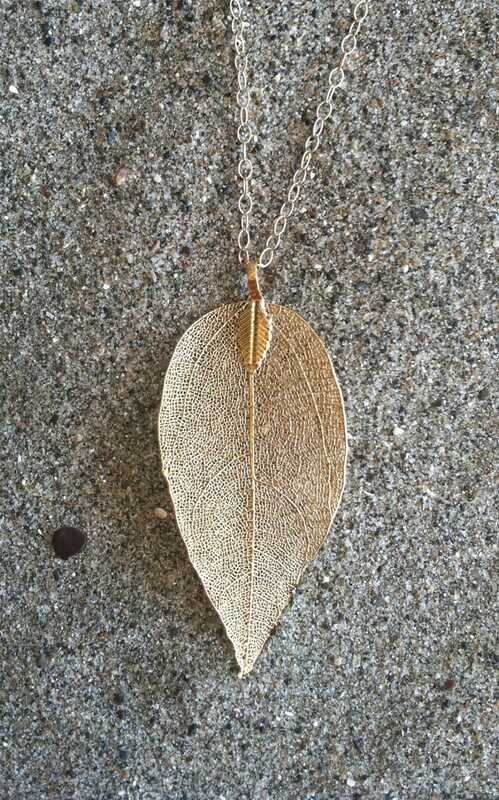 This is lovely, I bought it in silver and it will go with any and every outfit.